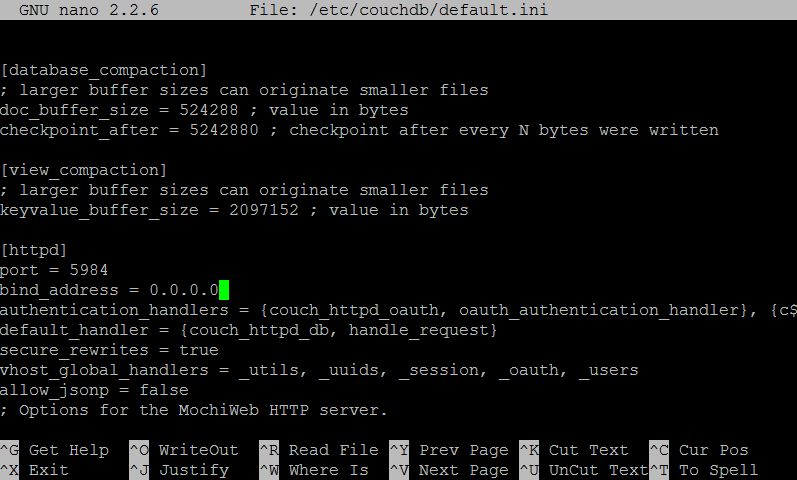 Previously I have written how to install and configure CouchDB from VM Depot on Ubuntu VM which was quite an automated process. In this post, I wish to record how to install and configure CouchDB on a fresh Ubuntu VM installation inside Azure. I am assuming that you have read the previous blog post, which describes how you can connect to your Ubuntu VM using PuTTY from terminal. Now you can point your browser to http://your-dns-name.cloudapp.net:5984/_utils to open up Futon interface to administer your CouchDB installation. This entry was posted in Open Source Tech. and tagged Azure, CouchDB, ubuntu on June 12, 2015 by Tanzim Saqib.